A foaling report shall be completed and sent to the LQHBA on each foal on or before July 1st of the year foaled or within 45 days after foaling. This report must be accompanied by a fee as set by the Board of Directors (Forty ($40.00) Dollars per foal as of January 1, 2014). Foals not reported by July 1st or within 45 days of foaling are eligible for accreditation until December 31st of the year foaled, however, the foaling report must be accompanied by a fee of Two Hundred Fifty ($250.00) Dollars, which fee is non-refundable and non-transferable. Foals not reported by December 31st of the year foaled are eligible for accreditation, however, these foals must be reported on the foaling report form and must be accompanied by a fee of $500 until December 31st of the year following foaling. The fee of $500 is not refundable or transferable. The applications in this category must be approved by the executive committee of the LQHBA. Under no conditions will a foal reported after December 31st of its yearling year be eligible for accreditation as a Louisiana Bred. The postmark date on the envelope containing the foaling report will be taken as the official date of application. A breeder shall be designated as the owner/lessee of the mare at the time of foaling. In order to have a foal Accredited Louisiana Bred, the mare and stallion shall have a DNA or blood type test made and reported to the LQHBA before the Association will issue a Certificate of Accreditation as provided hereinafter. The LQHBA required DNA kit or blood typing kit shall be obtained from the American Quarter Horse Association, P. O. Box 200, Amarillo, TX 79168. 806.376.4811 (T). A stallion owner (or lessee), for the purpose of stallion awards, shall be designated as the owner (lessee) at the time of service. Unless otherwise approved by the board of directors, the foal must be by a stallion standing in the State of Louisiana from January 1 through December 31 of the year the foal is conceived. For the purpose of this definition a stallion shall be deemed standing within the state of Louisiana if he is physically within the boundaries of the state at all times during that period. The owner (lessee) shall notify the LQHBA in writing and in advance if an Accredited Stallion is to be removed from the state for any authorized purpose to include specifically, but not exclusively, i.) racing, ii.) consignment to an out-of-state auction or, iii.) medical purposes. The LQHBA shall be notified in writing when the stallion returns to the state of Louisiana. All stallions standing in the State of Louisiana for the purpose of breeding and siring Accredited Louisiana Bred foals must be bloodtyped/DNA typed prior to the commencement of the breeding season. The owner (lessee) of any stallions standing in the State of Louisiana for the purpose of breeding and siring Accredited Louisiana Bred foals shall file a copy of the AQHA stallion breeding report with the LQHBA prior to or on December 1st of each breeding season. Owners who intend to participate in the stallion award program shall pay to the LQHBA a fee of Two Hundred Fifty ($250.00) Dollars for each such stallion which shall be paid together with the stallion breeding report. All mares are subject to inspection at any time by the LQHBA. The foal must be out of a mare confined within the boundaries of the State of Louisiana from conception until the consummation of the accreditation process. A foal must be officially Accredited Louisiana Bred prior to leaving the State. 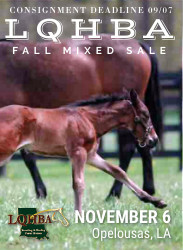 If a mare in foal is removed from the State of Louisiana because of being consigned to an out-of-state public auction or for medical purposes it must be reported in writing to the LQHBA prior to leaving the State and the mare must be back in the State of Louisiana within ten (10) days of the sale or return for medical purposes and reported in writing the date of return for the foal to remain eligible for its accreditation. Mares owned by out of state residents that are leased to Louisiana residents for the purpose of obtaining a Louisiana Bred foal are subject to the following rule: The lease must be officially received and recorded with the AQHA by July 1 of the breeding year and a copy of the lease must be submitted to the LQHBA by July 1 of the breeding year. By June 1 of each breeding season, all non-resident members as defined in the LQHBA By-Laws who are boarding mares in Louisiana shall, i.) furnish the LQHBA with a copy of each mare’s AQHA or TB registration certificate (front and back) together with the geographical location and directions to locate the mares which are boarded in Louisiana and, ii.) complete and file with the LQHBA an out-of-state mare report form for each mare and, iii.) 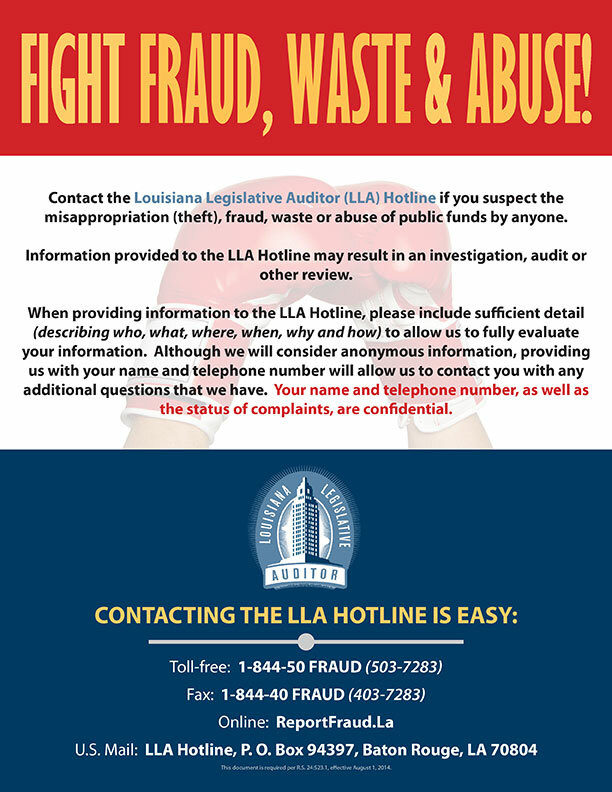 pay to the LQHBA Two Hundred ($200.00) Dollars for each such report. Anytime a mare owned by a non-resident member as defined in the LQHBA By-Laws is moved within the state of Louisiana from that geographical location previously reported to the LQHBA as required, such member shall report to the LQHBA by certified mail the day the mare is to be or was moved together with the geographical location and directions to locate the re-located mare(s). Anytime an out of state resident who is boarding a mare in Louisiana for the purpose of obtaining an accredited Louisiana Bred foal sells the mare, the transfer report shall be received and recorded by the AQHA within 14 days of the date of sale and the LQHBA shall be notified in writing within 14 days of the date of sale. If the location of the mare changes when the sale transaction takes place, the seller must notify the LQHBA the day the mare is moved and advise the LQHBA of the mare’s location. All mares are subject to inspection at any time. Only one foal will be eligible to be Accredited Louisiana Bred per donor mare per year. Embryo Transfers performed in Louisiana - The donor mare and the recipient mare shall remain in the state of Louisiana from the time of conception until the foal is born and the accreditation process is complete. Embryo Transfers not performed in Louisiana (Effective March 11, 2006) -Embryo transfers may be done outside the state of Louisiana. Donor mares shall not leave Louisiana and shall be flushed within the state. 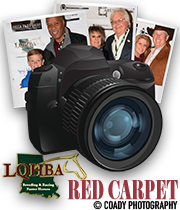 The recipient mare shall return to Louisiana with positive identification by July 1 of the breeding year and the LQHBA shall receive written notification of the recipient mare’s location in Louisiana by July 1 of the breeding year. The donor mare and the recipient mare shall remain in the state of Louisiana until the foal is born and the accreditation process is complete. **Exception: A donor mare may leave the state for the purpose of racing. The owner shall notify the LQHBA before she leaves and the donor mare shall have an official start within 90 days at an AQHA recognized pari-mutuel track. It is the responsibility of the owner to provide the LQHBA with official documentation of the donor mare’s official starts and when she returns to the state. The LQHBA Board of Directors will address the association’s embryo transfer rules and policies annually. Submit an application with the appropriate fees. The sire and dam of the foal shall have a DNA/Bloodtype. A copy of the stallion breeding report shall be submitted to the LQHBA office by December 1 of the breeding year. The breeder of the foal (owner/lessee of the mare at time of foaling) shall be a current LQHBA member. Out of state mare owners, embryo transfer mares and mares leased to Louisiana residents by out of state residents shall comply with the LQHBA’s reporting requirements and pay the appropriate fees. Each LQHBA member who applies to accredit a foal with the LQHBA agrees to be bound by the laws of the state of Louisiana, the By-Laws, rules and regulations of the AQHA, LQHBA and the Louisiana State Racing Commission. In the event of a dispute, each LQHBA member agrees to be bound by and accept the rulings, judgments and determinations as the same may be made by the LQHBA board of directors. El informe del nacimiento se debe completar y enviar a la oficina de LQHBA por cada potrillo, en o antes de, el primero de Julio del mismo año del nacimiento o en el periodo de los 45 dias despues del parto. Este informe debe ser acompañado con la cuota establecida por el consejo de la Administracion, cuarenta(40.00) dolares por portillo a partir del primero de Enero 2014. Los potrillos que no fueron registrados para el primero de Julio o en el periodo de los 45 dias despues del parto son elegibles para la acreditacion hasta el 31 de Diciembre del mismo año. Sin embargo el informe del nacimiento o parto debe ser acompañado por la cantidad de docientos cincuenta ($250.00) dolares que es No-reembolsable y No-Transferible. Los potros no registrados para el 31 de diciembre del año del nacimiento o parto son elegibles para acreditacion, sin embargo, estos potros deben ser reportados en el formulario del nacimiento y debe ser acompañado con la cantidad de $500.00 dolares hasta el 31 de Diciembre del año siguiente al año de nacimiento.La cuota de $500 dolares es No- reembolsable y No-transferible. La aplicacion de esta categoria debe ser aprovada por el comite Ejecutivo de la LQHBA. Bajo ninguna circunstancia un potro registrado despues del 31 de Diciembre de su primer año sera elegible para la acreditacion como Cria de Louisiana. La fecha del sello postal en el sobre que contiene el informe de nacimiento o parto se tomara como la fecha oficial de la aplicacion. Un criador será designado como el dueño/rentero de la yegua en el momento del nacimiento o parto. Un dueño de caballo o rentero con el proposito de los premios de caballo debe ser designado como propietario o rentero al momento del servicio. A menos que haya sido aprovada en otra forma por la junta de Directores, el potrillo debe ser por un caballo que esta en pie en el estado de Louisiana desde el primer dia de Enero hasta el 31 de Diciembre del año que se concibe el potrillo. Para esta definicion un caballo se jusga estando en pie dentro de el estado de Louisana si esta fisicamente dentro de los limites del estado en todo momento durante este periodo. El dueño o rentero debe notificar a la oficina de LQHBA por escrito y con anticipo si un caballo acreditado tiene que salir del estado por algun proposito autorizado que incluye especificamente pero no exclusivamente, i. ) carreras, ii.) envio a una subasta fuera del estado, iii.) Razones medicas. La oficina de la LQHBA debe notificarse por escrito cuando el caballo regrese al estado de Louisiana. Todos los caballos presentes en el estado de Louisiana con el proposito de criar y engendrar-potrillos acreditados en Louisiana deben tener la prueba del ADN / prueba del grupo sanguineopor escrito antes del comienzo de la temporada de cria. El dueño/Rentero de caballo en pie en el estado de Louisiana con el proposito de criar y engendrar potrillos acreditados de Louisiana deben archivar una copia del informe del caballo AQHA con la oficina LQHBA en o antes del primero de Diciembre de cada temporada de cria. Los dueños que tienen la intencion de participar en el programa de premios de caballos deben pagar a la oficina LQHBA la cantidad de doscientos cincuenta (250.00) dolares por cada caballo que se debepagar junto con el informe del caballo. Todas las yeguas son sujetas a la inspeccion en cualquier momento por la Associacion LQHBA. El potrillo debe ser de una yegua dentro de los limites del estado de Louisiana desde la concepcion hasta la consumacion del proceso de acreditacion. El potro debe ser acreditado oficialmente cria de Louisiana antes de salir del estado. Si una yegua o un potro se retira del estado de Louisiana debido a una subasta fuera del estado o con objetivos medicos debe de notificarse por escrito a la oficina LQHBA antes de salir del estado y la yegua debe estar de regreso en el estado de Louisianaen el plazo de diez (10) dias de la venta o volver por motivos medicos y reportado por escrito la fecha de regreso para que su potro permanezca elegible de suacreditacion. Yeguas de propiedad de residentes fuera del estado que son rentadas a residentes de Louisiana con el proposito de obtener un potrillo cria de Louisiana son sujetos a la siguiente regla: El contrato de renta debe ser oficialmente recibido y grabado por la asociacion de AQHA para el primero de Julio del año de cria y una copia del contrato de renta debe ser presentada a la oficina LQHBA para el primero de Julio del año de cria. Para el primero de Junio de cada temporada de cria, todos los miembros No- residentes tal como se define en las Leyes y Estatutos de la asociacion LQHBA quienes alojan yeguas en Louisiana deben i.) remitir a LQHBA una copia de AQHA de cada yegua o el certificado de registro de TB (frente y parte de atras) junto con la ubicacion geografica y las direcciones para localizar las yeguas que son abordadas en Louisiana y ii.) completar y, archivar un informe de fuera de estado para cada yegua a la LQHBA y, iii.) pagar LQHBA doscientos($200.00) dolares con cada informe. En cualquier momento una yegua que es propiedad de un miembro No-residente como se define en los estatutos y leyes de LQHBA se mueve dentro del estado de Louisiana desde esa ubicacion geografica ya reportada previamente a la LQHBA se require que tal miembro debe reportar a la LQHBA por correo registrado el dia que la yegua se a de mover o se movio junto con la ubicacion geografica y direcciones para localizar la yegua Re-localizada. Cada vez que un residente de fuera del estado que esta alojando una yegua en Louisiana con el fin de obtener un potrillo acreditado cria de Louisiana vende la yegua, el informe de transferencia debe ser recibido y registrado por la AQHA dentro de 14 dias de la fecha de venta y la LQHBA se notificara por escrito durante los 14 dias de la fecha de venta. Si la ubicacion de la yegua cambia cuando la venta se lleva acabo el vendedor debe notificar a LQHBA el dia que la yegua se mueve e informar a LQHBA la localizacion de la yegua. Todas las yeguas son sujetas a inspeccion en cualquier momento. Solo un potro sera elegible para ser acreditado Cria de Louisiana por Yegua donante por año. Todas las yeguas donantes y receptoras se reportaran a la LQHBA por escrito para el primero de Julio del año de cria (o al tiempo de reproduccion despues de Julio 1)junto con la identificacion plena y completa para incluir especificamente pero no exclusivamente: copias de certificados registrados, marcas, senales, tatuajes y microchip de identificacion. Las yeguas donantes y las recipientes deben permanecer en el Estado de Louisiana desde el momento de concepcion y hasta que nace el potrillo y el proceso de acreditacion este completo. La transferencia de Embriones se puede hacer fuera del estado de Louisiana. Las yeguas donantes no deben salir de Louisiana y deben de lavarse dentro del Estado. La yegua recipiente debe de volver a Louisiana con la identificacion positiva para el Primero de Julio del año de cria y la LQHBA debera recibir notificacion por escrito de la localizacion de la yegua recipiente en Louisiana para el primero de Julio del año de cria. La yegua donante y la yegua recipiente deben permanecer en el Estado de Louisiana hasta que el potrillo nazca y el proceso de acreditacion este completo. **Excepcion: una yegua donante puede salir del estdo con el proposito de carreras. El dueño debera notificar a la LQHBA antes de que se vaya y la yegua donante tendra un comienzo oficial dentro de noventa(90) dias en AQHA reconocida como pista pari-mutuel. Es la responsabilidad del dueño proveer a la LQHBA la documentacion oficial de comienzo de la yegua donante y cuando regresa al Estado. El consejo Directivo dela LQHBA dirigira las reglas y normas de la asociacion sobre la transferencia de embriones, anualmente. Presentar una aplicacion con la cantidad de pago adecuada. El padre y la madre del potrillo presentaranprueba de ADN / grupo sanguineo. Una copia del informe de cria del caballo que engendra debe presentarse a LQHBA antes del primero de Diciembre del año de cria. El criador del potrillo( dueño/Rentador de la yegua en el momento del nacimiento) debe ser alguien con membresia LQHBA vigente. Dueños de yeguas fuera del estado, yeguas de transferencia de embrion y yeguas rentadas a residentes de Louisiana por residentes fuera del estado de Louisiana, deben cumplir con los requisitos de informacion de la LQHBA y pagar la cantidad apropiada. Cada miembro de LQHBA que aplica para acreditar un potrillo se compromete a obedecer las leyes del Estado de Louisiana, los estatutos, reglas y reglamentos de la AQHA, LQHBA y de la Comision de Carreras del Estado de Louisiana. En caso de discusion , cada miembro de LQHBA esta de acuerdo de ligarse y aceptar las decisions, los juicios, relaciones y sentencias que pueden ser determinadas por la junta de Directores de la LQHBA.